O'Rourke (born November 14, 1947) is an American political satirist, journalist, writer, and author. O'Rourke is the H. L. Mencken Research Fellow at the Cato Institute and is a regular correspondent for The Atlantic Monthly, The American Spectator, and The Weekly Standard, and frequent panelist on National Public Radio's game show Wait Wait... Don't Tell Me! He is known in the United Kingdom as the face of a long-running series of television advertisements for British Airways in the 1990s. 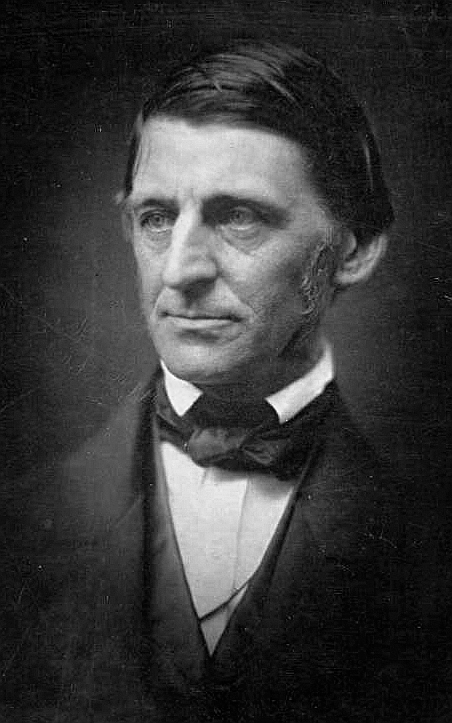 Emerson (May 25, 1803 – April 27, 1882) was an American lecturer, essayist, and poet, best remembered for leading the Transcendentalist movement of the mid-19th century. He was seen as a champion of individualism and a prescient critic of the countervailing pressures of society, and he disseminated his thoughts through dozens of published essays and more than 1,500 public lectures across the United States.